The most current trends in solution-focused counseling are explored in the latest edition of this updated and expanded text. Dr. Guterman provides a comprehensive and straightforward discussion of solution-focused theory and describes how the model can be used throughout the therapeutic process. Clinical techniques and detailed case studies illustrate counseling with clients experiencing a range of problems, including depression, substance abuse, grief, morbid jealousy, and trichotillomania. New chapters and sections in this edition address anxiety, eating disorders, migraine headache, psychosis, spiritual and religious problems, self-injurious behavior, and suicide. Additional features include excerpts of dialogue from actual counseling sessions, sample forms and supplementary materials, and troubleshooting tips for getting unstuck in difficult cases. Jeffrey T. Guterman holds a B.A. in psychology from Boston University , and an M.S. in counseling psychology, an M.S. in family therapy, and a Ph.D. in family therapy from Nova University. He is a Licensed Mental Health Counselor in Florida, and a Qualified Supervisor for Marriage and Family Therapists and Mental Health Counselors in Florida. 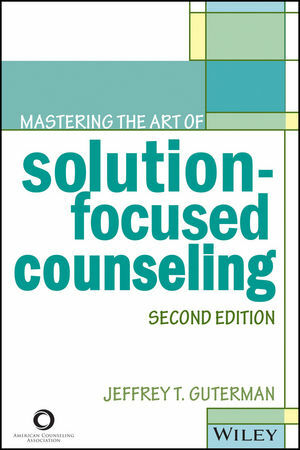 http://www.wiley.com/go/acaebooks See more American Counseling Association titles!